The Southeast Conference is one of 39 regional bodies of the United Church of Christ, a “mainline” denomination with over 5,000 churches and nearly one million members across the U.S. 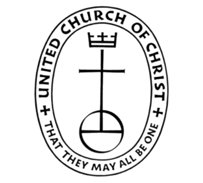 The United Church of Christ was founded in 1957 by a merger of the Congregational and Christian Churches and the Evangelical and Reformed Church (E&R). Congregationalists trace their roots back to 1620 with the Pilgrims of Plymouth and the Puritans of Massachusetts Bay, and the E&R is of liberal German parentage. The United Church of Christ has been the church of firsts, weaving God’s message of hope and extravagant welcome with action for justice and peace. Together, we live out our faith in ways that effect change in our communities. The UCC’s many “firsts” mean that we have inherited a tradition of acting upon the demands of our faith. When we read in Galatians: “There is no longer Jew or Greek, there is no longer slave or free, there is no longer male and female; for all of you are one in Christ Jesus”—a demand is made upon us. Lemuel Haynes is the first African-American ordained by a Protestant denomination. He becomes a world-renowned preacher and writer. Sometimes “being first” means being the first to admit a past mistake. In Hawai’i, UCC President Paul Sherry apologizes on behalf of the church for the complicity of missionaries in the 1893 overthrow of Hawai’i’s government and leader, Queen Lili’uokalani. $3.5 million is pledged to native Hawai’ian churches and a non-profit organization. We were in the forefront of the anti-slavery movement and the Civil Rights movement. Our response to the demands of our faith is woven into the history of our country. We are a church where Jesus the healer meets Jesus the revolutionary, and where together, we grow a just and peaceful world. Our Faith is 2,000 Years Old. Our Thinking is Not.